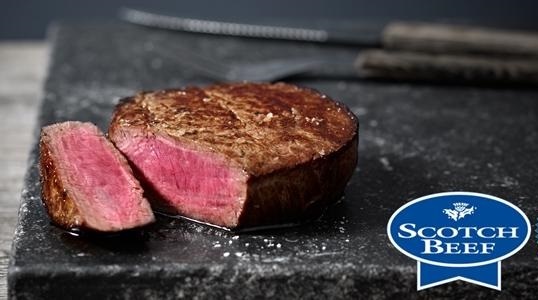 Aldi has been recognised as the strongest supporter of Scottish beef after a ‘shelf watch’ survey revealed almost 96 percent of beef stocked on its shelves was Scotch Beef PGI. All of the retailer's beef offerings on its shelves is Scottish or British, the two-week long NFU Scotland survey found. The union surveyed a total of 31 supermarket stores across Scotland looking at fresh beef offerings. Results demonstrated a 94 per cent commitment to beef produced in the UK. Overall 8,197 packs of fresh beef were counted. Aldi, which is Scotland's sixth largest retailer, won praise for its domestic sourcing after the survey revealed the retailer does not sell any imported beef. Graham Nicolson, Group Buying Director, Aldi Scotland, said: “We are absolutely committed to supporting Scottish farmers and I’m very proud that Aldi has been recognised as the strongest supporter of Scotch Beef ahead of every other supermarket. The survey follows the Scottish beef industry encouraging consumers to buy Scotch beef this spring as farmers continue to face challenging trading conditions. Scottish farmers and crofters producing beef are facing adverse conditions, with beef prices down by as much as 22 per cent compered to where they were last summer. In response to this, Quality Meat Scotland’s ‘Know your Beef’ annual marketing campaign is currently underway to promote Scotch Beef PGI.